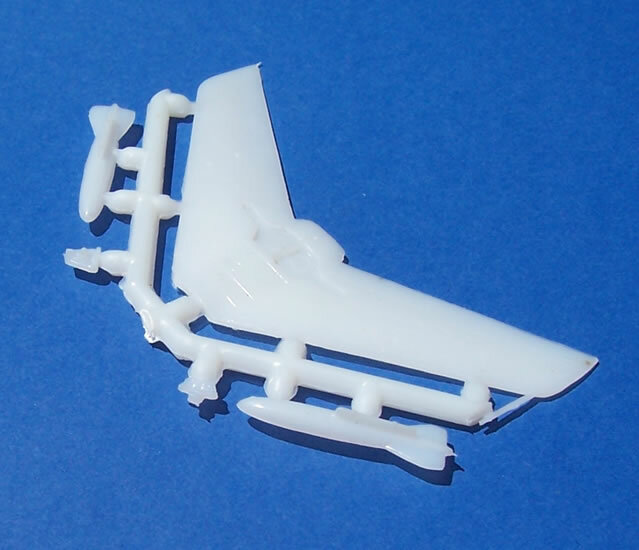 28 x white styrene parts, 1 x clear styrene canopy & waterslide decals. Has the potential to result in a very nice refined model for the scale. Very heavy sprue gates and a fair amount of cleaning up needed. 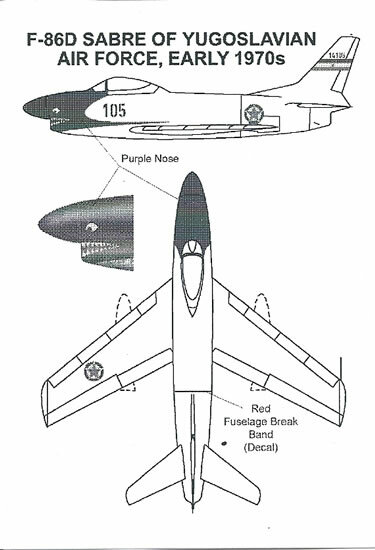 The F-86D “Sabre Dog” all-weather interceptor variant of the famous F-86 Sabre family will be familiar to many. 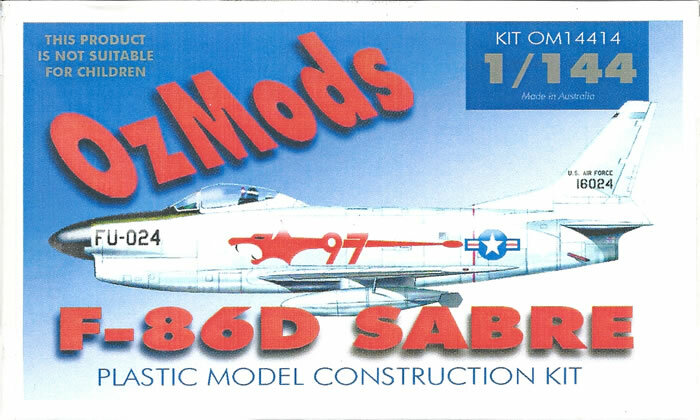 This distinctive variant has been kitted far less frequently than versions of the Sabre day fighter, and the OzMods kit reviewed here is the first I’m aware of in 1/144-scale. 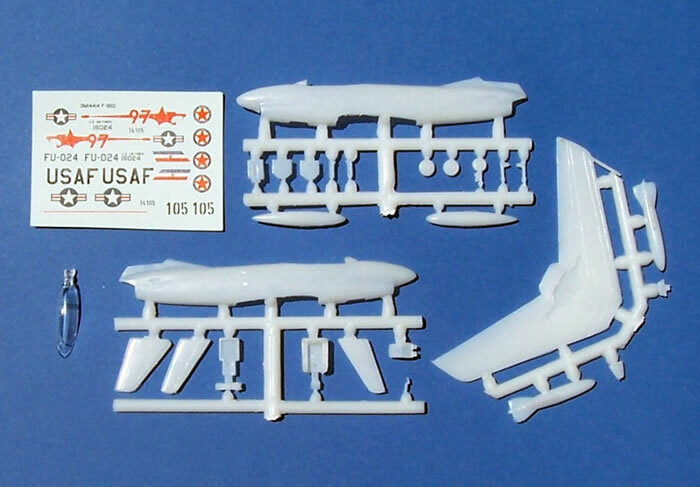 The kit comes boxed in a small end-opening box with an attractive profile of a USAF machine. 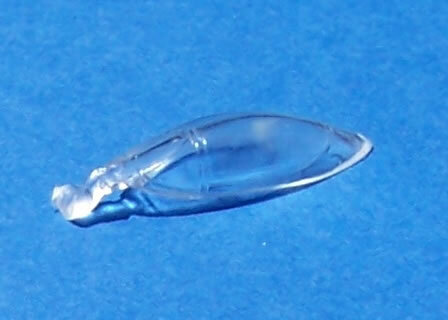 Inside the parts are sealed in a zip-lock plastic bag, with the canopy and decals further sealed in their own bags. 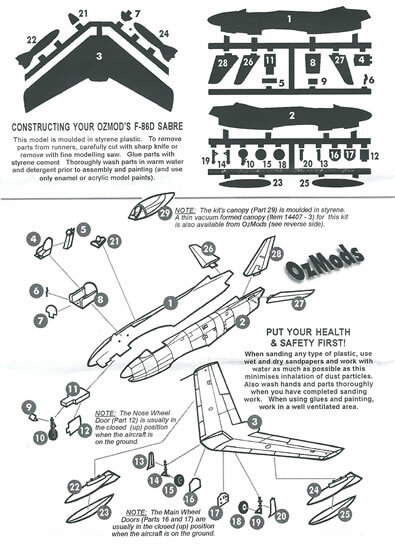 The instructions are clear to follow and include a parts map. They give guidance as to which undercarriage doors are normally closed on the ground. The painting and decal guide is quite small, basic but adequate. 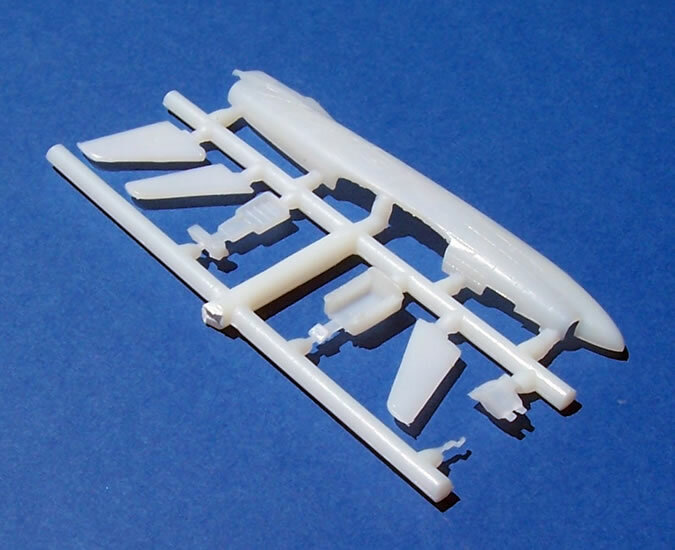 The kit parts are a bit reminiscent of Ventura and High Planes kits. 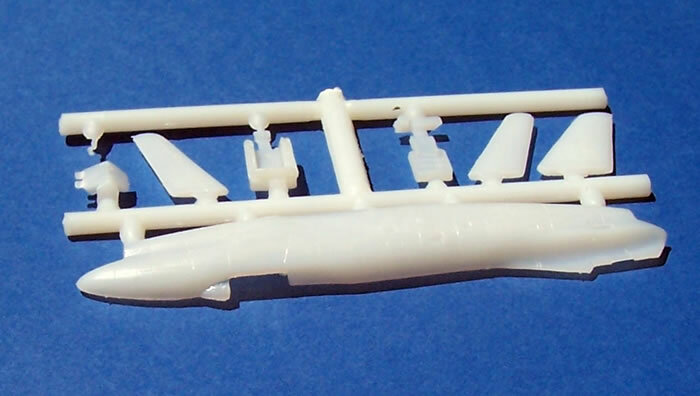 Although difficult to see with the slightly translucent white styrene used, there is overall fine engraved surface detail and delicate air scoops in the fuselage. In fact generally the level of refinement looks pretty good, with the bulky wheel brakes nicely captured and commendably thin trailing edges. The canopy is reasonably thin, and the instructions advise that a vac-from canopy can be purchased as an extra from OZMods. I can’t help but think that maybe this could have been included as a kit option without forcing the price up too much, but at least the option is available. 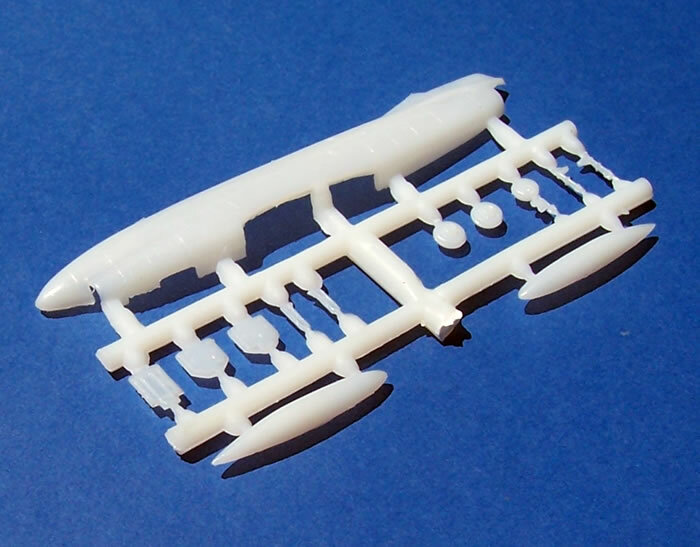 The parts are attached to some quite hefty sprue gates suggesting that they have been moulded under low pressure. 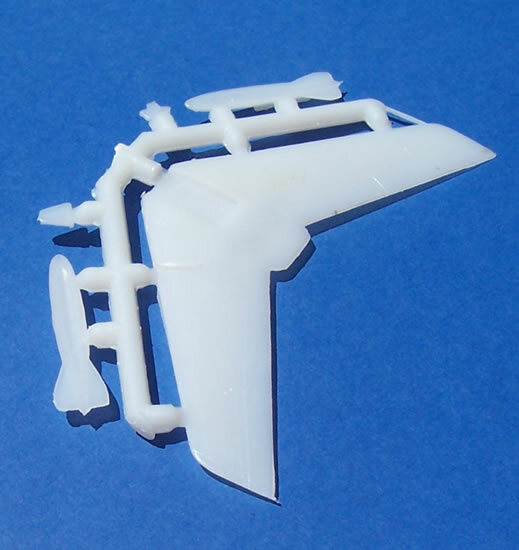 There are also a few sink marks in the horizontal stabiliser and tail fin surfaces (a primer coat may reveal more as they are hard to spot with the colour of plastic used for the kit). So this is not miniature Tamiya-like gem such as some Platz 1/144 kits I have seen. It will need care removing parts from the sprues, a reasonable amount of cleaning up, no doubt some fit adjustment, and definitely some filling. However this is no surprise with this type of kit. However, such is the underlying refinement I’m sure that quite a stunning model can result from this kit. 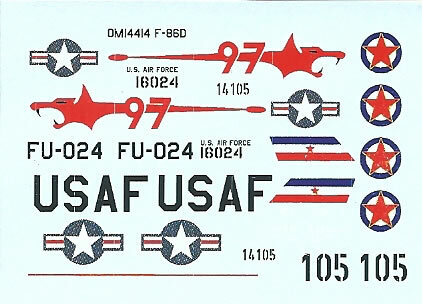 The decals look to be well printed with good registration and opacity. 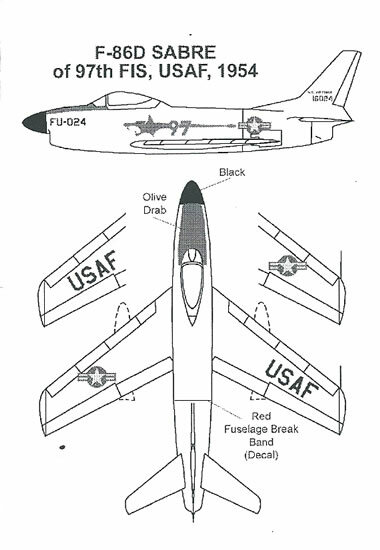 USAF and Yugoslav Air Force options are offered. The latter in my opinion makes for a particularly interesting subject, it being a western warplane in communist service. This kit will is not of the shake and bake variety, and will need some basic modelling skills to bring out the best it has to offer. Good levels of scale refinement and nice detail are all there, so this kit should build into a very rewarding and potentially eye-catching model. The optional vac-form is a nice touch, but maybe could have been included with the kit.